- painted in classic old school eavy metal style plus a little extra attention. Thanks for the comments everyone. 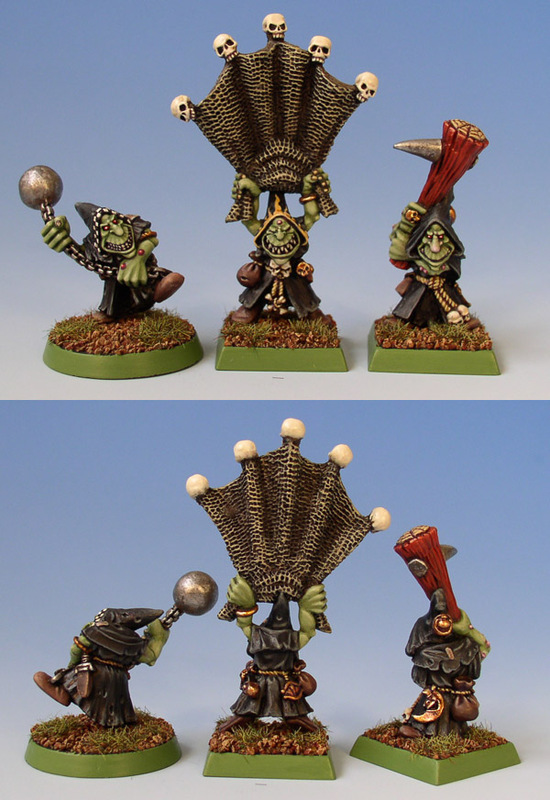 I am glad that most of you like my interpretation of the classic night goblins. I really enjoyed revisiting these fabulous old sculpts. Great job as always! I am a big fan of your night gobbos. I have always prefered the classic night gobbos to the new ones. Your way to paint night goblins is unique, I can not think of a way to paint tem better; you are the true embodiment of the heavy-metal style. The faces of these three are just hilarious!